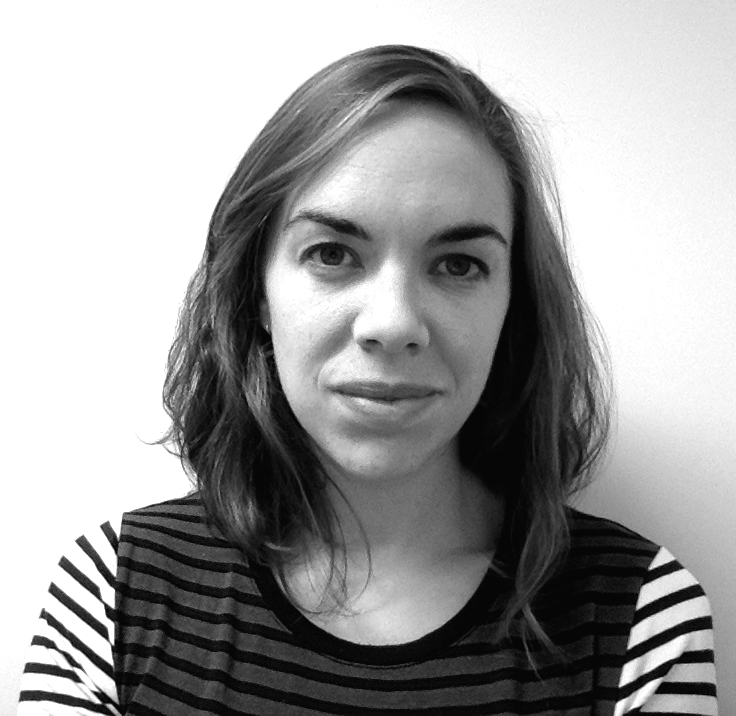 Dr Jesse Adams Stein is a design researcher specialising in the relationship between technology, work, material culture, and sustainable practices. Jesse's current research employs ethnographic and oral history methods to investigate how emerging manufacturing technologies and digital design practices (and the economic structures that drive them) are transforming the social relations of Australian manufacturing. She is the author of Hot Metal: Material Culture & Tangible Labour (Manchester University Press, 2016), which examines technological change and workplace upheaval in the Australian printing industry between the 1960s and the 1980s. Hot Metal pioneered an interdisciplinary approach that integrates design history, labour history, and oral histories of working life. See: book reviews here. Jesse's earlier research engaged with issues of domesticity and gender in the industrial design of 1970s and 1980s computers. Jesse teaches in the Design Studies unit within the School of Design, Faculty of Design, Architecture & Building. - Histories of computing and digital culture. Available to supervise Masters by Research and Secondary supervision for PhDs. Supervision strengths best catered to history/theory candidates in the fields of design history, design studies, material culture, craft studies, visual communication, print culture, architectural history, labour history, and the history of technology, particularly for projects involving interviews, archival research and visual analysis. The world of work is tightly entwined with the world of things. Hot metal illuminates connections between design, material culture and labour between the 1960s and the 1980s, when the traditional crafts of hot-metal typesetting and letterpress were finally made obsolete with the introduction of computerised technologies. This multidisciplinary history provides an evocative rendering of design culture by exploring an intriguing case: a doggedly traditional Government Printing Office in Australia. It explores the struggles experienced by printers as they engaged in technological retraining, shortly before facing factory closure. Topics explored include spatial memory within oral history, gender-labour tensions, the rise of neoliberalism and the secret making of objects 'on the side'. This book will appeal to researchers in design and social history, labour history, material culture and gender studies. It is an accessible, richly argued text that will benefit students seeking to learn about the nature and erosion of blue-collar work and the history of printing as a craft. 3D printing is not only a diverse set of developing technologies, it is also a social phenomenon operating within the political imaginary. The past half-decade has seen a surge of 'futuring' activity and widespread public attention devoted to 3D printing, which is typically represented as a harbinger of economic revival and political transformation. This article explores how 3D-printed futures are imagined across a broad political spectrum, by undertaking a multidisciplinary analysis of academic and popular literature. Three influential political imaginaries of 3D printing are identified: the maker-as-entrepreneur; the economic revival of the nation state; and commons-based utopias. In spite of stark contrasts in political alignment, these imagined futures share one important thing: an increasing awareness of design, making, and production. This insertion of design into mainstream discourse is an important development for design history and theory, as it potentially enables an increasing public comprehension of the profound significance of design in the world, in both historical and contemporary terms. Between the 1960s and the 1980s the printing industry in advanced capitalist economies underwent dramatic technological change. While the transition from 'hot metal' compositing to computerized typesetting has been the focus of much analysis, there was another transformation occurring simultaneously, which has received far less attention. In the press-room, letterpress was gradually replaced by offset-lithography. Many letterpress-machinists retrained in offset-lithography: moving from a heavy, manual and time-consuming technology (with an entrenched patriarchal culture), to a method that was faster and less physically taxing. This paper examines the change from a long-established technology to a socially unsettling one, by focusing on relationships that existed between skilled workers (press-machinists) and their technologies, in an Australian government printery. This transition involved the development of new practices, altered social relations of production, and, crucially, the continued enactment of masculine craft identities. Intrinsic to this experience of technological change was a masculine embodiment that was attuned to and shaped by the materiality and aesthetics of printing technologies. This embodied dynamic enabled some press-machinists to maintain their employment, dignity and control over their work. Essentially this paper establishes how masculine craft identities do not rely exclusively on skill-based mastery of traditional technologies, they are also related to other dimensions of technology, such as aesthetics, embodied 'know-how', and the physical presence of large-scale industrial machinery. awareness of amateur practices and 'unsanctioned knowledge' in design history. While the disciplines of oral history and architectural history are beginning to engage with the expansive possibilities for oral testimony in relation to architecture, the question of how spatial memory operates in an interview is yet to receive thorough attention. Earlier approaches combining oral history and architecture tended to focus on interviewing architects. This research takes a different tack, interviewing workers about their experiences of working life, and, in the process, discovering that the their narratives often have strong spatial and architectural specificity. Interviews with former printworkers about their memories of the NSW Government Printing Office in Sydney uncovered a wealth of spatial and architectural content embedded within workers recollections. The interview is also a site where meaning is made. Accordingly, this paper explores how, through oral history, a co-construction of spatial memory is produced between the interviewer and the interviewee, resulting in a mnemonic spatial reconstruction of architectural space. The results recover detailed accounts of much-loved fig trees, painted-on doors and dysfunctional woodblock floors, to name but a few. This method of charting architectural memories has important implications for how we interpret the architectural histories of oft-ignored institutional buildings, and it highlights disparities between `official concepts related to modernist factory buildings and the lived experiences of workers. Stein, JA 2013, 'Frank confessions from an oral history newcomer', Voiceprint, vol. 49, pp. 10-13. This paper emerged from observations following oral history interviews with thirty people who worked at the New South Wales (NSW) Government Printing Office, Sydney between 1933 and 1989. This project incorporates photographs from the NSW Government Printing Office collection: institutional images taken within this public service workplace. This paper describes how the use of institutional photographs during the oral history interview can provide insight into the disjuncture between bureaucratic representations of an organisation, and former employees' recollections of working life. Oral history interviews indicate that these former employees possessed a confident and playful awareness of the 'grey area' between institutional representation and everyday practice, and they performed an active role in the shaping of some of these situations. this paper engages with oral history literature on the relationship between oral testimony and photographs, and opens up the fuel to include the use of institutional photographs in the interview process, rather than personal or family images, which have often been the focus of previous research in this area. This paper considers one of the first personal computers to be marketed to a mainstream American audience in the late 1970s: the Apple II. Lewis Mumford's notion of "ideological and social preparation" is adapted to describe this period as a preparatory phase for the later ubiquity and absorbing quality of our relationship with personal computers. In examining the Apple II's design alongside a key marketing image we can discern that domesticity and gender were crucial points of negotiation during this period. In the late 1970s marketing for Apple the image of idyllic domesticity quickly became a major context for computer promotion, a development that had gendered implications. The example of 1930s streamlining in the design of domestic household appliances is used as a parallel with the Apple II's startling application of a plastic case: the concealing plastic exterior simultaneously simplified and obscured the device, transforming it from a "machine" into a "personal appliance." The Action Plan for Australian Bats is a Commonwealth initiative (Duncan et al. 1999a) which sets out the species considered to be in need of conservation and recommends Commonwealth funding to be applied. The argument of the present paper is that the Action Plan does not provide an adequate basis for bat research in Australia because it concentrates almost exclusively on a small number of threatened species and omits general bat research. This argument is supported by recent surveys of the opinions of bat researchers. The threatened species determinations of the various States also suffer from the same deficiency, i.e., threatened species have become the focus of attention at the expense of the conservation of all bat species. This increasing emphasis on threatened species, particularly those now on the national list, diminishes the possibility of carrying out basic bat research or research on species threatened at State level (at least in New South Wales) but not listed on a federal level under current national criteria. We contend that a better approach would be to focus on the threatening processes that affect all bat species (including non-threatened species) across the country in order to simultaneously determine strategies for protecting those that are threatened, as well as instituting measures that will prevent others from declining. Essay in the catalogue accompanying the exhibition"Awfully Wonderful: Science Fiction in Contemporary Art" - curated by Dr Lizzie Muller & Bec Dean. Matthew Connell & Jesse Adams Stein discuss circumferentors, theolodites, Curta calculators and the Sinclair ZX80, among other technological wonders. Stein, JA 2018, 'Retraining the 'last generation' trades: Hot metal compositors and engineering patternmakers in Australia', Production of Information Technologies: Media Markets and Labour in the Twentieth Century [invited paper, funded by the Fritz Thyssen Foundation and the German Research Foundation (DFG)], Museum der Arbeit, Hamburg. Stein, JA 2018, 'The Historian as Document Producer: A Critical Reflection on the Production of Oral History Timed Summaries', What is a Document? A Workshop on Documentation, Records and Evidence, UTS. Stein, JA & Rowden, E 2017, 'Talking spatial memory: Workers, inmates and institutional buildings', Oral History Australia Conference, Sydney. Stein, JA 2013, 'Picturing the Guv: reflections on the process of combining oral histories with institutional photographs', SA State History Conference / Oral History Association of Australia Biannual Conference, Adelaide. Stein, JA 2010, 'Domesticity and gender in the industrial design of Apple Computer', Popular Culture Association of Australia and New Zealand, Sydney. Stein, JA 2009, 'The mystification machine: the Eames Office and the IBM Pavilion at the New York World's Fair 1964-1965', Failed Design: What Were They Thinking? Bard Graduate School Symposium, The Bard Graduate Center for Studies in the Decorative Arts, Design, and Culture, New York. Rosenman, O & Stein, J 2018, 'Invisible Hands (HistoryLab Podcast S1Ep2) (Producer: Olivia Rosenman, Contributing Historian: Jesse Adams Stein, Host: Tamson Pietsch, Executive Producer: Tom Allinson)', Contributing Historian, 2SER. Where do jelly babies come from? Mass-produced things are all around us. But they all start with a single object. In this episode, Olivia goes looking for the patternmakers, whose invisible hands are the original creators of much of the stuff we use every day. They see a world no-one else can see. So why are they disappearing? And what will we lose when they are gone? Stein, JA, 'Pictures, pranks and printers: unofficial creative practice at the NSW Government Printing Office, 1959-1989 (Public lecture and online video) (2013)', History Council of NSW. Rowden, E & Stein, JA 2018, 'Reading List: Public Architecture', Places Journal. Stein, JA 2017, 'Is 2017 the year to ditch the term 'innovation'? ', The Conversation. Stein, JA 2017, 'Public submission to NSW Parliament Inquiry into Museums and Galleries, submission no. 12', NSW Legislative Council Portfolio Committee No. 4 Inquiry into Museums and Galleries, Sydney. Stein, JA 2014, 'Who gives a … ? Contemporary design and an ethic of care', Cusp (exhibition essay), Australian Design Centre. Stein, J 2014, 'Architecture Discipline Network: Learning & Teaching for Architecture & Building (website)', website. Architecture Discipline Network is a learning and teaching network connecting educational, professional and accreditation bodies. Project led by Prof Desley Luscombe, and developed under the auspices of the Australian Deans of the Built Environment & Design (ADBED). It is the result of a grant from the Australian Government's Office for Teaching & Learning (OLT). Website research and text by Jesse Adams Stein. Stein, JA 2013, 'Different strokes: Artistic innovation gives drab urban facades a colourful new look', Sydney Morning Herald. Stein, JA 2013, 'Two thumbs up for Sydney's 'ugliest building'', Sydney Morning Herald. Stein, JA 2012, 'Links to the right paths take the city forwards', Sydney Morning Herald. Stein, JA 2012, 'Social Sculpture', Runway, pp. 72-75.
during this social preparation for the mainstream acceptance of the personal computer. Stein, JA 2006, 'Public Art and Site-Specificity: Critical Dilemmas in the Sydney Sculpture Walk (Hons thesis)'. This thesis takes the form of a critical examination of the Sydney Sculpture Walk. The broader context of this analysis relates to discourses surrounding public art and site-specificity in art history. The first chapter will outline the various ways in which site-specificity has been interpreted, delineating two key conceptions of 'site': the literal and the discursive site. This chapter argues for a balanced mediation between these two notions of site, which would acknowledge the social and cultural conditions of particular places, while not lapsing into an overly narrow focus on a specific, localised site. In partnership with the National Library of Australia, Jesse established the Reshaping Australian Manufacturing Oral History Project (2017 - 2019).